Rosemary, the owner of Beatrice Loving Heart (BLH) Nursing Agency, contacted us aa little over a week ago asking to see what the cost would be to have their website re-designed. Rosemary has been a long-time customer of BsnTech – for over three years now. She felt that her website was starting to show it’s age and they wanted something that was more clean and professional-looking. She supplied us with a few different websites that she liked and some new content. After obtaining that information, we got started right away on a new website for her. This evening, Rosemary has approved of the site and was ready to take it live! We worked dilligently this evening to get the site fully completed and published to their domain name. We appreciate the ongoing business from Rosemary and BLH Nurses! 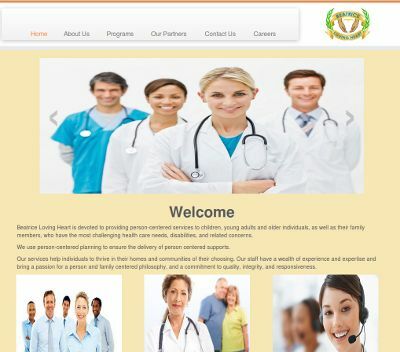 The BLH Nurses website is at blhnurses.com.